Did Dawson get to foster Louie? 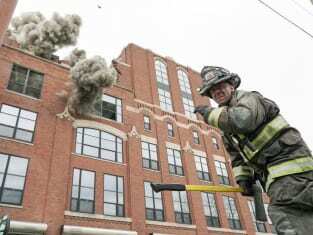 You find out the answer on Chicago Fire Season 4 Episode 22 as she was helped by a familiar face, but how far did she have to go in order to prove she could be a fit foster parent? Meanwhile on this NBC drama, the team responded to a building collapse that left more than a dozen people trapped, but did they get everyone to safety? Also, Otis met his temporary replacement, but did he like them? Finally, Casey and Antonio came to blows, but did they make up by the end of the hour? 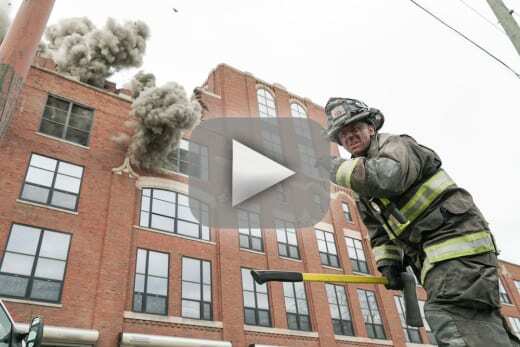 Use the video above to watch Chicago Fire online to get up to speed with the latest drama. Mouch: See what I heard when they said medical leave was four weeks paid vacation. Kidd: Yeah shouldn't you be on a single's tour of Middle Earth or something? Permalink: Yeah shouldn't you be on a single's tour of Middle Earth or something? Antonio: You either go get her and make this right for good, or you leave her the hell alone. Casey: You want to intimidate someone, Antonio, take it back to the 21st. If you're just giving advice then I can tell you, I don't want it. Chicago Fire Round Table: Will Dawson Foster Louie?